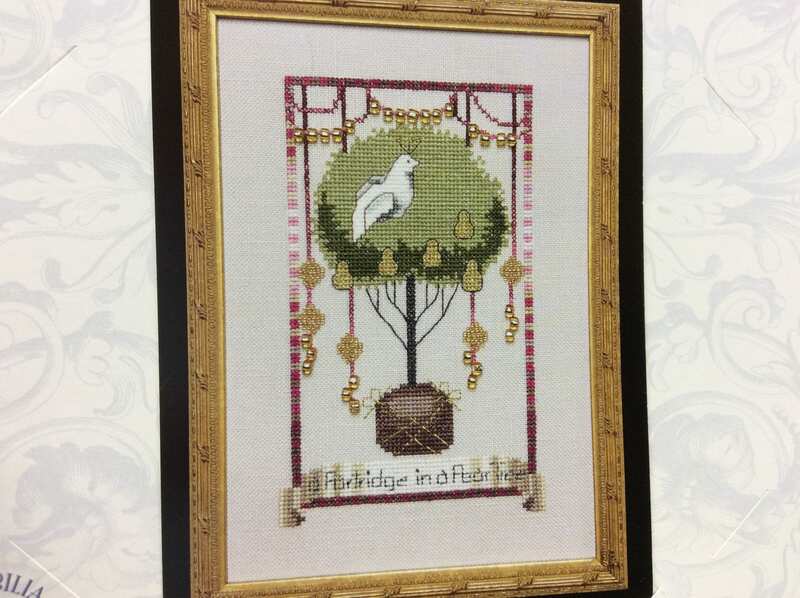 The first of Nora’s 12 Days of Christmas series is partridge in a pear tree. 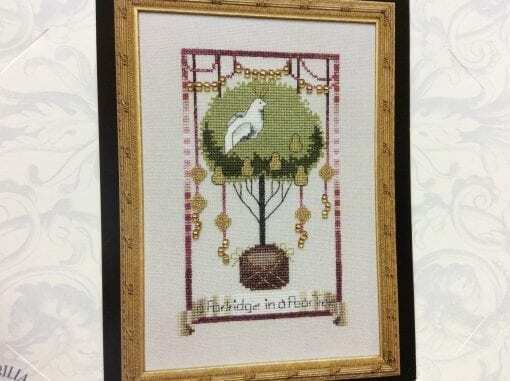 Shown stitched on 28 count China Pearl linen from Wichelt Imports and using DMC floss and some #4 braid from Kreinik, the design is 65 x 104. Mill Hill beads accent the design.